We can help you. 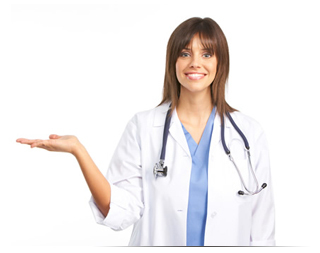 We can offer Health Plans designed for those who are hard to insure. We believe that everybody should be entitled to medical health insurance, no matter what their health history. Are you having problems finding affordable health insurance due to having a pre-existing condition? Guaranteed health plans are the answer. Our licensed insurance agents work for you, to bring you quality medical health plan options, that lie within your budget. We are led by an advisory board of hospital administrators and concerned physicians, looking to ensure that Americans, regardless of medical history, will be provided with medical treatment that passes or exceeds the standards these health professionals expect when caring for their own families. Our company offers affordable medical health insurance plans, that as a rule are A.M. Best rated insurers, and can then be adjusted by the consumer to fit their individual budget. We specialize in this niche market of guaranteed-issue health plan products, allowing you to find and purchase affordable, real policies, from a variety of providers, even if you are suffering from a pre existing condition. We know the importance the right policy holds in supporting and protecting a healthy you. With this in mind, we only deal with insurers with a proven track record for upholding their obligations to the insured in times of need (hospitalization, etc...), to ensure that your policy stands strong with you when you need it most. Our company is America's leading online source for medical health plans, and through our affiliate companies over 70% of those with pre-existing conditions obtain comprehensive guaranteed health insurance coverage. Our products are represented by A.M. Best rated insurers, and fully adhere to all federal regulations regarding medical policies, meaning the financial stability of the underwriting companies. This vigilance ensures that our clients are able to obtain coverage many of their for pre-existing conditions. If you suffer or have suffered from cancer, diabetes, obesity, or any other medical condition that renders you difficult to insure, then we can help. We are proud of our record of having assisted tens of thousands of diabetics, cancer patients and those with other pre-existing conditions in the past, who have had considerable difficulty acquiring a policy elsewhere. The Facts are the Facts: The US is entering a crisis as policy premiums continue to rise, while wages remain stagnant.. This fact, in conjunction with preexisting health conditions, has caused many Americans to incorrectly assume themselves to be "un-insurable". This is not the case. There is no reason you or a loved one should not have the complete medical coverage you deserve without limits or restrictions. Please contact us, or submit your contact information to be called by one of our licensed medical health insurance professionals in your area, representing all major policy carriers. For America to stay competitive in the global economy, we believe that all Americans must be insured, regardless of any pre existing condition, so they can remain fit. These expenses are totally covered by your medical health insurance provider. For serious medical problems, real coverage is mandatory to keep a handle on expenses and keep you safe. If you are not satisfied with the options available through our agents, your policy, being A.M. Best rated insurer's protection, will give you piece of mind. There is such a thing as affordable healthcare coverage, regardless of pre-existing conditions. Millions of Americans made the switch last year to a reliable policy provider you can actually afford! We compare favorably versus providers such as cinergy, cinergy medical, aim medical, aim medical plans, homeland, icann benefits, etc, covering diabetes, obesity, cancer, and other conditions. Why stay uninsured? Contact us today and improve your quality of life, your peace of mind, and ultimately your wellbeing, by getting the affordable, guaranteed healthcare you deserve. Don't let your pre-existing condition set you back any further. We won't let you down! With our policies you are guaranteed the peace of mind that accompanies comprehensive cover and at competitive prices too. Additionally, we can now offer you an inclusive Ask a Doctor service which affords our customers further peace of mind by enabling you to consult a registered Physician by phone at your convenience, 24/7, 365 days a year. This groundbreaking service allows a doctor to have access to your medical records, make diagnoses, order tests and fill prescriptions, just as you'd expect from a local medical professional. We know this business in and out, so you can completely rely on us as what we provide is real health insurance. We make no false promises and our medical health insurance coverage renders exactly what is promised to you while you apply for medical coverage with us. We are here to assist you in finding out the most affordable and relevant medical health insurance policy on the market. We speacialize in insurance for diabetes and cancer patients, but people who have any pre-existing condition will not find it hard to get insured thanks to our guaranteed health plans. Copyright © 2004 Guaranteed Medical Health Insurance, inc. All rights reserved.